Would you like to drive your own amazingcar? We can help you to face the universe of driving with trust. The Dhoot Driving School Luton London furnishes the best direction and underpin for the tests one needs to take before getting a driving license. No matter what your age or experience is, you can get top quality, best educational cost when you take a course of driving lessons with Dhoot Driving School Luton London. The expert, encountered, respectful and tolerant teachers at Dhoot Driving School remains as the best in this field. We give the best quality, organized driving lessons inside London. Assuming that somebody's apprehensive about any dialect boundary then we can positively help you on that, We offer the instructional classes in numerous dialect like English, Hindi, Urdu, Punjabi, Hindi, Kashmiri and numerous more. We likewise give classroom studies and hypothesis books for the tests in different dialects. For vehicular driving a committed org is answerable for issuing the driving license. Dhoot Driving School Luton London utilizes decently trainedADI (Approved Driving Instructor) enlisted under DSA (Driving Standards Agency) to help you teach how to drive. 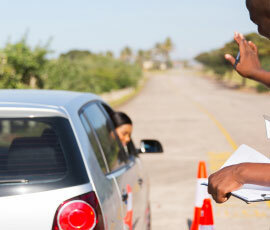 We train individuals like they do their best for the driving test, as well as they will drive securely after the test. The vehicles here at Dhoot are well kept and upheld to keep your stresses away. Since the vehicles are double regulated it guarantees that your car won't get crashed. Our trainerwillbe having control over the vehicle so you can keep away from any shocking occurrence. Dhoot Driving School Luton London offer straining in the accompanying classifications. 1) lgv/hgvtraining: Lgv (Large Goods Vehicle)/hgv (Heavy Goods Vehicle) is training for driving heavy vehicles which typically transport large goods. You have alternatives like (C, C1,c+e and C1+e) to choose from. The weight details are diverse in each classification. All drivers who passed their car license after 1 January 1997 hold their existing qualification to drive trucks until their permit terminates. People who passed after this date are obliged to pass an extra driving test so as to increase privilege to Category C. When you are completely trained and become a qualified Lgv (Hgv) driver you will have the ability to drive Lorries over 7.5tonnes in weight. A much more elevated amount of ability is obliged to drive a bigger vehicle and our trainers will help you in that. 2) Pcv Training: Pcv (Passenger Carrying Vehicle) training might be further classified as (D, D1, D+e, and D1+e) with varieties, for example, Category D, D1-Minibus for physically working vehicles and so on. This classification is dependent upon number of travelers that each vehicle is carrying. All drivers who passed their auto license after 1 January 1997 hold their existing privilege to drive transports until their license terminates. People who passed after this date are obliged to pass an extra driving test with a specific end goal to addition qualification to classification D ,Mini transport training, D1 Minibus, D1+e Minibus + trailer, D Automatic bus, D Manual coach, D+e Coach + trailer. 3) driver Cpc Training: For Lgv and Pcv drivers an extra Cpc (Certificate of Professional Competence) is crucial for expert driving. 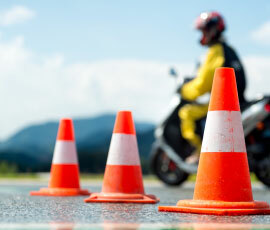 The new necessity for the expert drivers is the Cpc qualification. AlthoughLgv and Pcv driver hold the specific license for that, the law requests CPC from new drivers. Driver Cpc obliges all Category C and D licence holders (counting C1 and D1) to join in 35 hours training at regular intervals with a specific end goal to support their Cpc. Cpc theory test are separated into 2 parts. Cpc case studyis intended to check knowledge about driving and the rules and regulations to be considered while on the road. By enrolling with Dhoot Driving School Luton London you can leave your strains in regards to the paper work. We give you finish help while filling Provisional Entitlement Form (D2), Medical Form (D4) and send them to Dvla. You can visit our site to experience driving appraisal poll to help you comprehend your driving potential. Dsa has presented driver Cpc modules for new participants in driving field. Modules offered are all-climate driving, night driving, country driving, and town driving and away driving. By choosing these modules you will accomplish trust in your driving proficiencies and you can get yourself conscious about most recent standards and laws in driving round. Pass protection services are additionally accessible at Dhoot. By requisitioning pass security you are permitted to re-sit in tests complimentary assuming that you fall flat in your endeavor to clear the exam. Refund alternative is likewise there for you in the event that you don't get support for the category that you have specified. Dhoot Driving School Luton London is one single place from where you can get everything. For additional data and aid on the laws pertinent to trainee driver and about the different refresher training courses, you might contact Dhoot Driving School at any time.